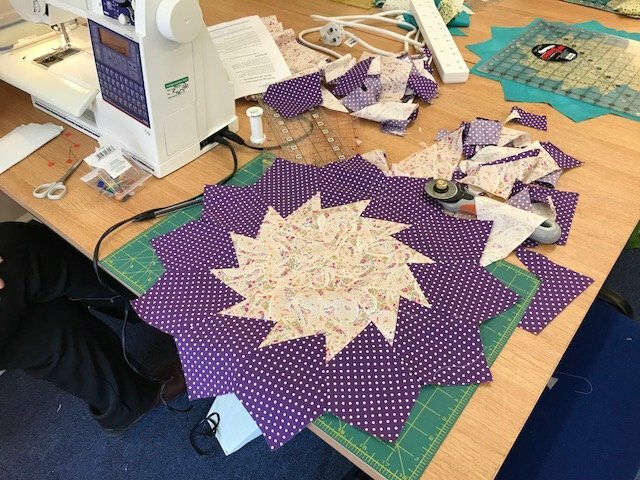 Join us for a quilting masterclass - a block a month on a four hour workshop. Learn a variety of skills and techniques with a practical demonstration of some of the templates and rulers. This is the first block of nine. The result will be a full size quilt with sashing, a cornerstone border and finished with binding. All will be revealed on the first class. After class you are welcome to stay in the studio to finish your block.